After reading the lovely Charli's latest blog post on the true cost of beauty I felt that I needed to have a look and see how much money I really spend on make up. Charli's post really shocked me by showing that to an extent how little thought we have when going into Superdrug, Boots or House of Fraser etc. Take me for example- I bought make up at the Illamasqua event, got make up off JEM for both Christmas and my Birthday, bought a lipstick and brow pencil at the Mac counter on Monday, then some nail stuff in Boots on Tuesday. Really do I need all this?? Thats a third off my Balenciaga bag!! I'm actually in shock to the extent of how much this is. 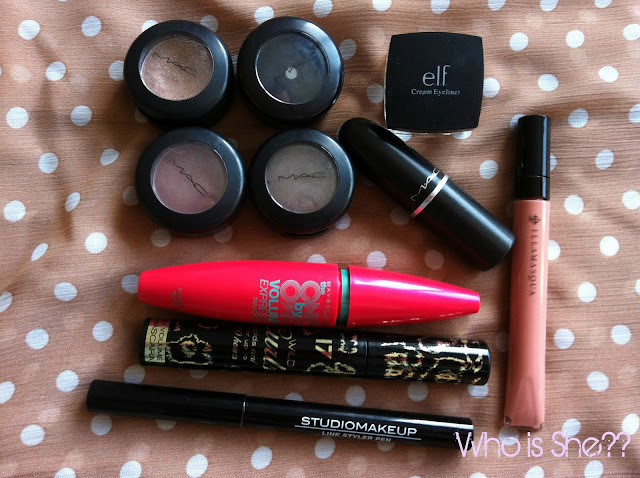 I think I now need to work on using the products up in my collection- I know I'll always buy replacements of my favourite Mac lippies, and I prefer drug store mascara's to high end. 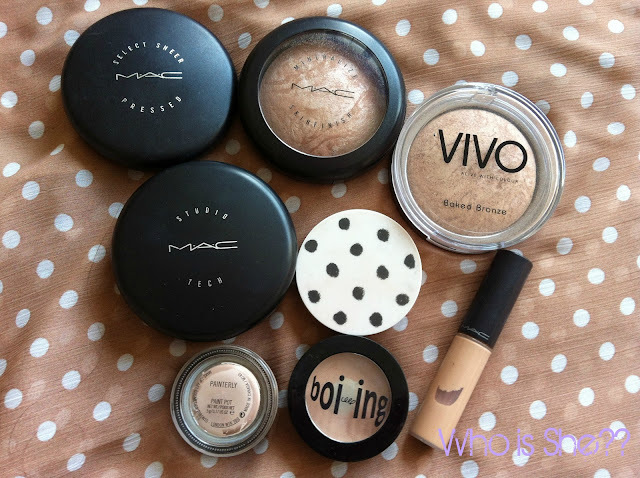 However for things like concealer/bronzer/blush I think I am going to get what I have in my collection used up and try more drugstore products (collection 2000 concealer I am on about you). Best thing is for work (if I can be bothered to wear make up)- all what I use is two shades from my Sleek Palette and Accesorise blush. Definately think I am going on a beauty buying ban now!! I challenge you to do a post on the cost of make up what you use on a daily/going out make up- link me up to your posts!! Its definately an eye opener. I know I don't spend too much on beauty; it's all drugstores, gifted or given free with magazines!!! definitely going to do this when im back at uni with all my makeup. its insane how much we actually spend on beauty products! i'm too scared to do this! I really should do this. Yet I'm far too scared to!